Monitoring and following processes and workflows should be saving you effort. Sadly, a lot of time is wasted. These could be in personal processes you’re working with, or in huge workflows which span multiple people. Time can be lost in so many ways. Some web apps you might be using to help manage your workflows require constant attention – reporting, updating, or having to contact other colleagues to get them to complete their section of the workflow. These are interruptions, and according to Professor Gloria Marks from the University of California, with each interruption, there is an average of 23 minutes and 15 seconds wasted to get back to the task. 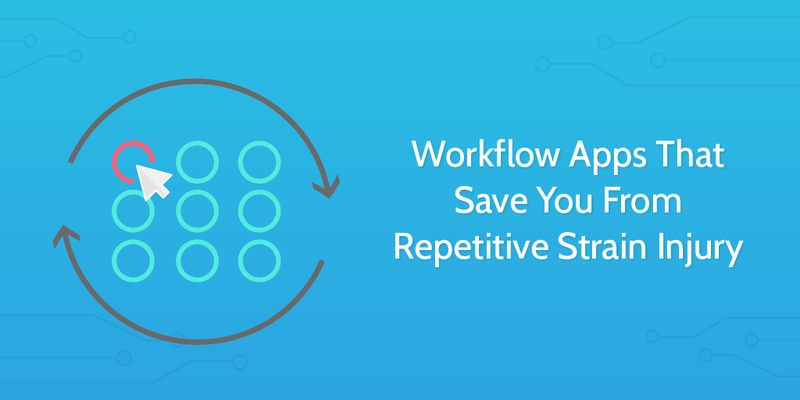 Other workflows experience inefficiencies simply because your current processes take too long. Full stop. The more time things take, the more work you have to do. In this article, we’ll guide you through a series of tools which can help you create workflows, follow workflows, and automate workflows. 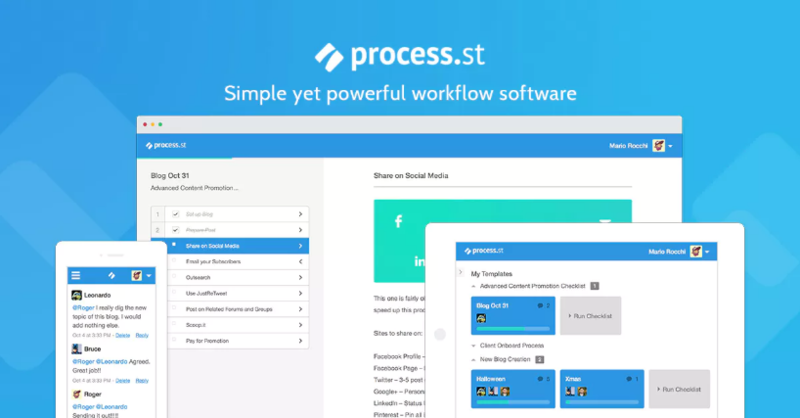 If you want to document workflows and execute them, then Process Street is your webapp of choice. The core definition of workflows centers around combining managing processes with managing resources, like staff. Process Street’s simple checklist system allows you to create complex workflows quickly and execute them across teams. You can integrate Process Street with a huge number of other apps and make the workflow checklist you create the spine of your business process management. Before you come to execute your processes and workflows, you need to map them out. Workflowy provides a super simple bullet point focused word processor. These collapsible bullet points allow you to create complex flows and expand and contract areas of them to make them easy to understand. Through their tagging and collaboration features, Workflowy makes the ideal tool for working out workflows with your team. The big boy of the task management scene, Trello was acquired by Atlassian for $425m in January 2017. The high valuation is likely down to its passionate userbase who find real value in their Kanban boards. Simply create a card for a task and drag it about your board to show progress. Super collaborative and integrates with everything, Trello will help your team complete the nitty gritty work of actually carrying out the processes assigned to them in their workflows. Less well known than some of the others, hidden-gem Nuvro is a robust online project management tool that helps manage your team more efficiently. With Nuvro you can gain control and peace of mind over all of your projects, tasks, team members, workload, and everything else important to your company. It’s a bit of an all in one kit which comes with a simple, almost minimalist, design. In addition to the project, task, and collaboration features found in most PM tools, Nuvro also provides a company dashboard, a team dashboard, team member performance reviews, secure document management, an internal alternative to email and more. Nuvro is perfect for busy teams looking to accomplish more from one place. It was between Todoist and Wunderlist for this position. I opted for Todoist in part because of its effective integration with Trello. It does what it says on the tin: it is a to-do list software. But it adds more value that this. It is collaborative and available across every platform including Apple watch and Android wearables. A great way to keep personal productivity high and in line with your aims. Asana was almost left off this list as I’d chosen to include Trello, which is my task management software of choice. However, Asana have been piling up on features over the past year and have also launched apps on iOS and Android. With Asana’s reporting features, team messaging, and curated updates, it feels like a more comprehensive task management system than Trello’s focused simplicity. Pomello is first and foremost a productivity tool. It works by utilizing the Pomodoro technique: 25 minutes on, 5 minutes off. This isn’t the only Pomodoro timer on the market, but its raison d’etre sets it apart from the rest. By integrating so seamlessly into Trello, Pomello allows your personal productivity to by synced with your tasks without you having to jump between platforms and thoughts. If you’re a Pomodoro fan, this one’s for you. If you haven’t yet used Slack, then now is your chance to get started. 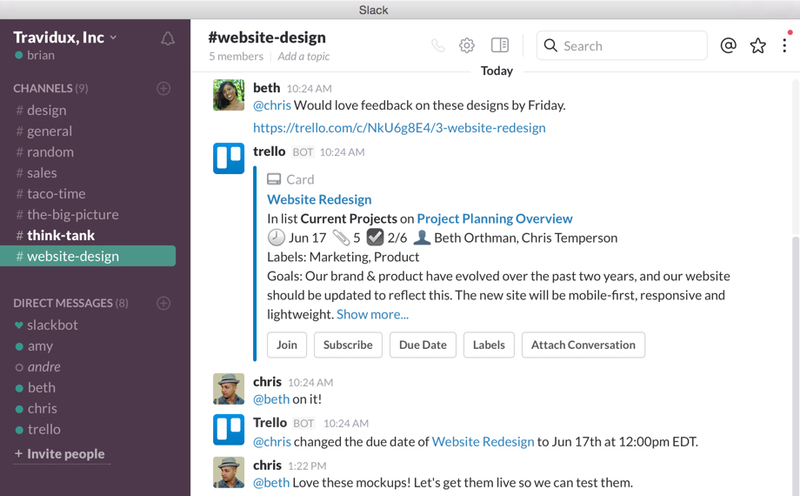 Slack is the #1 team messaging platform in the world – and with good reason. Their clean UI and UX create a professional environment and their iOS and Android apps are my favorite messaging apps (I’m iOS). After raising significant capital, they’ve expanded their integrations and have even set up their own fund to encourage other developers to craft new ways to improve Slack. This creativity drives Slack forward and keeps it ahead of its competitors. With excellent team communication comes faster and better quality responses. Along with all its automations and integrations, Slack will assist in the smooth execution of your workflows. Sorting emails from your phone has become a pretty standard way of operating. Different people have different preferences for their mobile email client, but Newton has to stand up there with the best. You can easily manage all your email accounts from the one space and it has some pretty neat features too. Read Receipts ensures you’re kept up to date with who has read your emails and when as a default feature. This, along with email scheduling, sender profiles, and snooze functions, place Newton ahead of the pack in mobile email experiences. I don’t own a printer. I mean, there’s one at the office, but honestly I’m not even sure how to connect to it. I can’t see why I would need to print anything out. In the past, I would have to print documents to sign them and scan them back up to my laptop if I wanted to get anything official done. Now, I just use HelloSign. I’ve filled out complex forms straight from my browser, signed official documents, and left notes and feedback on PDFs. HelloSign is the easiest way to sign for things and more. It saves me wasted printing and scanning time, as well as saving the trees in the process. When it comes to accountancy services, I’ve always been more of a Quickbooks man myself, but the new invoicing app from Wave is a really good piece of kit. It allows you to create and send your invoices on the go at speed. Moreover, because it’s connected to your cloud with all the rest of your data, it provides you with the reporting tools necessary to see the invoice in relation to your company’s larger trends. “I’ll send you an invoice” has become “One second, let me just send you my invoice now” – accelerating your crucial client communications. Communication with your team and with clients isn’t the only form of communication you’re likely employing in your business. The sleek and impressively simple Typeform provides a form software which is a delight to use. For surveys and customer feedback, as well as for employee happiness use cases, Typeform is a powerful and flexible tool. Hook it up with your Google Drive and you can gather all feedback in real time easily. When it comes to mailing campaigns you have a host of different options. ActiveCampaign’s competitive advantage comes with the depth of workflow and automation features it offers within its pricepoint. You can map out whole campaigns with lists and tags to segment your users and feed these different groups through maps of emails with time delays and trackable actions. For running a complex email campaign, there aren’t many competitors who can offer the same depth of workflow functionalities at comparable prices. It wouldn’t be a communication list without the inclusion of Mailchimp. Simple to use and excellent at its core service, Mailchimp is a market leader in this space for a reason. If email campaigns are not something you’re super familiar with, Mailchimp’s intuitive set up will ease you into the process. The email template builder is comprehensive and ideal for non-techies. This allows your marketing team to quickly and simply construct emails and shoot them out. For the more tech savvy, you can consider MailChimp’s bigger brother; the transactional email service, Mandrill. Powerful database storage in the cloud presented in spreadsheet view. Airtable is a great storage tool for information which needs to be accessed across teams. You can build libraries of content and store huge amounts of research. Teamed with automation software, you can pull this information into other areas and employ it in the wild. At Process Street, we’ve considered bringing Airtable more into our task management system by utilizing its calendar and Kanban view functionalities. Expect an article in future on how this testing has turned out! The standard for cloud storage for teams. From before Google rebranded its Apps for Work package into G-Suite, Drive has been setting itself apart from Dropbox. The fact that Drive is integrated natively within the other Google services has probably helped propel it to dominance, but its own ease of use and quality is deserving of respect anyway. There’s not much to say about Drive. It’s the centre of a cloud office, and it’s good at it. Within the same space as Drive, Box is easy to use with an intuitive design and feels particularly smooth across mobile devices. Box shares a whole host of key features with Drive but comes in at a marginally higher price. The area where Box excels, and why Box has made it into this list, is workflow automation. There are a variety of automation features within Box which your team can employ to speed up processes. You can also delegate tasks through Box’s administration panel which strikes me as a potential direction for Box to move in for the future. With the integration of automation, task management, and workflow features, Box seems to be squaring up for a fight with Drive. Top of the table when it comes to note taking software, Evernote is the most comprehensive daily organizer and jotting pad. With this seeming market dominance, Evernote ditched some features of its free plan and introduced a cheaper paid plan called Evernote Plus. For this reason, OneNote and Google Keep should also be considered for this category. Ultimately, Evernote – provided you’re willing to pay – still seems to provide the superior service. Evernote is multi-platform, syncs with your email and calendar, has powerful search functionalities, and sports a user favored UX. Evernote also integrates with a series of third party automation services, which is key to keeping your workflow tight. Check out the competition, but Evernote still feels top. This one is a bit more of a specialist productivity tool. The Eisenhower Matrix is a method of organizing your tasks and managing your time. It’s simple and has little learning curve. The Eisenhower app brings this method to your daily life. The method gets its name from the former US President and army general who used this four grid system to organize and prioritize. Use it to note your tasks and work out priorities before embarking on your day. The 30/30 app lets you record your different tasks into your mobile and allocate time to them. Feeling like a cross between a concise notetaker and a task management system, 30/30 provides a solution which some users seem to value highly. The UI feels a little dated, but don’t let that get in the way of the functionality. 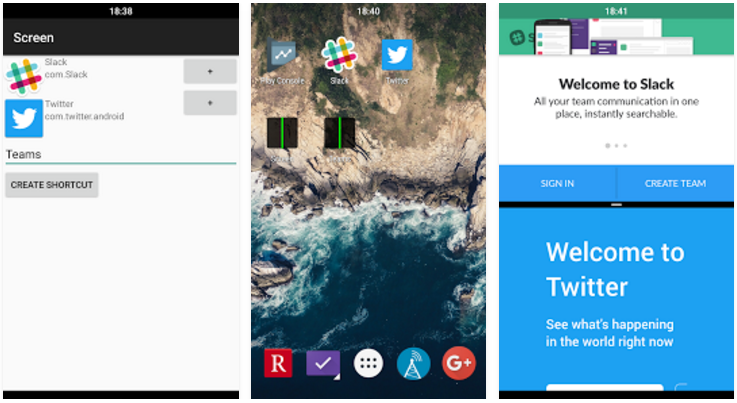 In short, Pocket provides a cross platform bookmark tool. You can save articles, images, whatever you wish, into your Pocket. You can save directly from your browser or from a range of different apps. They have an iOS and Android app so you can keep your Pocket with you on the move. The key selling point in my eyes is that you can access what you save in your pocket even if you don’t have an internet connection. That feature alone adds value and means you can get stuff done even when you’re not connected to the wider world. There are lots of apps out there which promise you a “morning briefing” or “daily briefing” or something similar. These apps are normally media apps who are attempting to create shorter curated content. Accompany offers you briefings too, the difference being that Accompany offers you briefings about your business connections. Whenever you pull a new person into your contacts, Accompany goes on the hunt to find out more about them and their company, providing in-depth information. This report is then delivered to you for review. This saves research time and provides you with the added information which may help you close a deal. We all know and love Salesforce. However, the Salesforce portfolio has been expanding. You can now download Salesforce1 on your phone to manage and close sales anywhere with a greater degree of control than before. Salesforce is pushing its new mobile range as a way to manage your whole business from your phone. This also allows for native integrations into a host of other applications. Line your workflows up well and you may be able to ditch that laptop of yours! If you’re a business with a mobile app and you want to keep up to date with what’s going on, AppFollow is a very handy tool to have at your disposal. The big sell with AppFollow is its Slack integration. If you’re running your communications through Slack then you can set AppFollow to post keyword data and other ASO areas into a Slack channel. It can also give you real time updates on user reviews left on the Appstore and Playstore, complete with the star rating and full text. This way, everyone on the team can be up to date with the latest data. Statsbot operates in a similar fashion to AppFollow in that the core feature is to post analytics into Slack for a team to digest. The difference is what data it gets and where it pulls it from. Statsbot pulls from Google Analytics, MixPanel, and Salesforce. This makes Statsbot a smart purchase for an ecommerce platform or similar. Daily briefings on web traffic and sales reports at a glance can keep everyone in the loop. All automated with no code needed. There are a very large and growing number of different financial applications available on the market which you could choose to work with. One of the elements which makes Square stand out is its inclusion of a point of sale interface. You can use Square to process payments there and then, on the go. This isn’t suited for every business, but there are certainly a large number which could speed up their transactions with this smart app. More than that, the level of reporting and control offered from within the app is very comprehensive. You can use a webapp like Toggl for yourself, for managing your team, or managing remote workers. Toggl provides a time tracking service which prides itself on ease of use. All working time can be tracked and screenshotting functionalities ensure that time is properly spent. You can export timesheets to be submitted or generate professional reports which can be sent straight to clients. Toggl certainly smooths the process of monitoring time and output, whatever the use case may be. The biggest freelancer marketplace in the world, Upwork has thousands of jobs posted daily. How is Upwork a workflow tool? Outsourcing, my friend. Outsourcing. Particularly, if you’re a solopreneur, you’ll find yourself spending lots of time on low-value tasks when you would rather be spending that time on high-value tasks. The problem is, low-value tasks can often be necessary. This is where you can recruit a virtual assistant or a helper from Upwork to pick up those tasks for you. You can use Process Street to map out the process your hire needs to follow, and delegate away. If you want to self-monitor your work to see how you’re spending your time, RescueTime is a handy addition to your arsenal. RescueTime can be used on your computer and mobile devices and quietly tracks what you spend your time doing. You can then access reports and see breakdowns of how you’re really operating on the day to day. You can use this to find problems or inefficiencies in your own workflows and move forward from there! Workflow is the iOS flagship automation app. It’s available across all the Apple devices and syncs with a huge number of other platforms. It uses a drag and drop functionality to piece together features from different apps and pair them together in new ways. Definitely worth checking out if you’re an iOS user! If This Then That, or IFTTT for short, is a mainstay of the automation field. Their presence in linking together different platforms has morphed into being the leading mobile-based third party automation tool. Their Applets are simple premade card based automations which you can switch on and switch off with a swipe. There’s an existing library of automations you can scroll through to find out whether IFTTT can aid you in your professional or personal workflows. Zapier is the big gun of the third-party automation scene. This platform integrates with over 750 different applications and gives you a much greater degree of control over your workflows than the other tools on the market. Zapier is my go to automation tool and I recommend it highly. You can set up detailed multi-zap automation workflows which will bounce data around different apps and make it feel like you’ve become superhuman. Try it now. Not content with Zapier hogging the market for third party task automations, Microsoft introduced Flow to the market. Although the number of apps Flow integrates with is lower than Zapier, its connection with the existing Office suite will likely provide a lot of use value for users who work in that environment. Expect Flow to grow and begin to take on Zapier in the battle of who can automate workflows more effectively. There are a number of social media tools on the market but Buffer is amongst the best. Buffer allows you to set up all your social media posting in advance and schedule the posts for the desired dates. This saves you significant amounts of time by squeezing all your social media efforts over a week into one chunk of time. You can also look at reports and feedback of how your posts fared, helping you improve your wording and timing for the future. Security should be one of your top concerns. Sadly, many of us have poor password management and create security problems in the process. 1Password is a password manager which securely stores your passwords in the cloud. This means you only have to remember one password rather than the 43 currently spilling around your brain. With this one password, you can access all of your logins from the computer or your mobile. It also remembers form entries like “What was the name of your aunty’s cat?” and “What was your first partner’s mother’s maiden name?”. Useful. But don’t forget the password. If you’re one of those companies which creates an email digest or newsletter for your customers or just people in general, Revue is worth looking at. Revue provides a mobile based service to create your email newsletter. You can easily import links into it, select the styles of the email, and add your written content. Next thing you know, you’ve sent it out to the world updating all your customers about the big new features they should be looking out for, and you haven’t even arrived at the office yet. Slimming down creative tasks like these can create a lot more time in your day and allow you to focus on other areas of your business. I give you this list because I know you all have different areas of your businesses which you need to work at. A small selection of tools cannot work for everyone. Pick through these options and try out the ones which seem right for you. To build effective workflows, determine what needs to be done, what processes are needed to do the different tasks, who can do them, how the processes are connected, where the processes can be improved, and how those inefficiencies can be automated. Slick, sleek workflows which reduce waste will drive your business on to bigger and better things. Are there any apps I’ve missed? What would you add to this list? Let us know in the comments below! Great list! Didn’t know about Wave. Hard to believe it’s free. I’m seriously considering it now for our accounting. Thx! That’s great to hear. Do reach out to let us know how you found it in action if you choose to test it out. You’re doing a great job with the tool. Keep up the good work! I am new to workflows and tasks automation (workflows for other people). Are people having success using a combination (stack) of asana, toggl, process street, and upwork? Seems almost like Tim Ferriss (4hour work week) at that point. Hey Will! I know that quite a few of our customers use Asana, but I don’t know any use cases which combine those tools off hand. You can also refer following Time tracker software which gives the best results.